Musical Theatre News: Love Never Dies closing to make way for James Corden play? Love Never Dies closing to make way for James Corden play? Rumours have been circulating for months about the demise of Love Never Dies. But this one seems to have more substance as according to today’s Daily Mail James Corden and the National Theatre's One Man, Two Guvnors is eventually heading for Broadway, but before that happens a deal has been done for the play to transfer to the Adelphi Theatre from mid-November. The Corden play runs at the Lyttelton Theatre into the autumn and then tours from September 27th till October 29th, prior to transferring into the Adelphi. If this is true it means Andrew Lloyd Webber's Love Never Dies will close. A number of the principals including Ramin Karimloo and David Thaxton are anyway due to leave in September. This would give ALW an opportunity to completely revamp the show along the lines of the critically acclaimed and very successful Australian production and do a West End relaunch or tour in 2012. 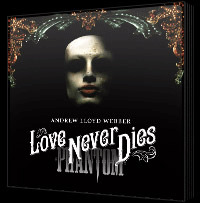 STOP PRESS: Just been announced that Love Never dies is closing on 27th August 2011. "along the lines of the critically acclaimed and very successful Australian production "
That's a lie, Australian production IS NOT critically acclaimed, it got mixed reviews from critics with little praise towards story, lyrics and music. And it is NOT very successfull either as it dropped in sales during only three weeks of its run. Suppose it depends on what reviews you read and who you listen to. Australia is an awfully long way away and things can get very distorted as they travel! The Australian production has very much been critically acclaimed. There have been some aspects that some critics didn't like (as is always the case) but each and every one of them recommended the show. The show has also been quite successful. So much so that it has changed from a limited run in Melbourne to an open ended one and has extended once so far. 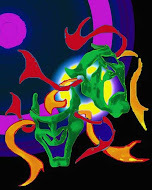 Ticket sales have been strong and steady, weekend performances are always sold out. Weekday performances range from %80-%100. Saw the show in London last year. Loved every minute of it. Elizabeth - actually the weekend performances are NOT sold out. Stop spreading lies. The Melbourne production has been discounting tickets by $30-60 and can account for an increased demand of tickets, but it does not make the show a 'sell-out'. Far from it actually. And not every critic recommended the show. You should stop reviewing only reviews that are written by those who obviously have a slant towards the show. You LND fan girls are obsessed in trying to make LND seem better than it actually is. It's worst that silly Love Should Die campaign. If it was sooooo good, it wouldnt be closing in the UK. The Australian performance had been full houses each weekend show I or any of my friends went to see, so maybe you are spreading lies Mark. Wonder where you are from and if you have actually been to a perfomance - I have been to 4! As for discounting it is NORMAL practice in Melbourne - I get offers all the time for half price or 40% of tickets - Jersey Boys in Sydney is 40% right now - not an indication of anything except theatre fans get a great bargain. All 4 times I saw PotO on Broadway I got discounted tickets too----- front centre - Not a hit??? Anyway Love Never Dies is a fantastic show that has had it's run extended once again - and I for one will be back to fill one of those seats. Fan girls? Excellent; I feel young again. I can assure you that I read any review which pops up, good, bad or indifferent. The good reviews couldn't make me love the show any more but likewise the bad ones won't make me dislike it. And I for one am not obsessed with "trying to make LND seem better than it actually is"; I just got sick of a vocal group talking about how bad it is and how the "Phans are outraged". No-one speaks for me, and I'm not outraged. I love it. That's all. Love Never Dies will live forever in our hearts! You cant take that away!